Since signing up for Gmail 8 years ago, I’ve received over 60,000 emails and I’ve responded to just over 8,600 of them; I’ve also sent around 20,000 emails from work-related Google Apps accounts. My email volume pales in comparison to many others’; nevertheless, I’ve found myself building up a workflow for using Gmail more efficiently and, after showing it to a few friends, I thought it’d be interesting to share it here. It’s hard to overstate just how much time you can save by enabling and learning Gmail’s keyboard shortcuts. Almost all of my interactions with Gmail are through the keyboard. Jumping back-and-forth between the mouse and keyboard slows you down. When you’re getting to grips with the shortcuts it’s easy to forget which key does what—you see a list of all the shortcuts at any time, just hit ?. Turning on Auto-advance in the General tab saves a lot of time. It doesn’t make sense to go back to your inbox every time you’ve archived or replied to an email—you want to move straight on to the next email. If it doesn’t need a reply I’ll archive it. NB: Some people may need to go to Settings > Labs to turn this feature on. In Gmail, the inbox is for email that you’re processing, all other email should be archived under All Mail. When you reply to an email it shouldn’t sit there clogging up your inbox—it needs to go. Send & Archive makes that a one-step process; it’s located in the General tab, too. I’ve divided my inbox up into 3 main sections: starred emails are things that require an action outside my inbox; important emails are from humans; everything else is just that. Starred: Click on Options > More Options… > Starred to make sure it’s showing all of your starred mail, whether it’s archived or not. Important: The default setting is Important and unread but change it to Important only—this pushes unimportant email into Everything Else. Gmail is getting pretty good at figuring out which emails are important. If you receive an email that’s not marked as important (and should be) you can hit + to help Google’s algorithm—hitting - does the opposite. Everything else: Over time, this section of my inbox has become dominated by email that I receive from machines—it’s the least important stuff. Gmail’s Canned Responses Lab project is half-baked and can’t be operated using the keyboard. Like most people, I hate it when I receive an canned email from a “human” which tries to look hand crafted—I much prefer the personal touch. With that said, there are a few sentences that I use frequently when responding to potential customers and I’ve mapped those to keyboard shortcuts using Lifehacker’s favorite text-expander, aText—it’s only $5. Before I started using Boomerang, I’d often find myself trying to remember all of the people I needed to hear back from—this app remembers for you. 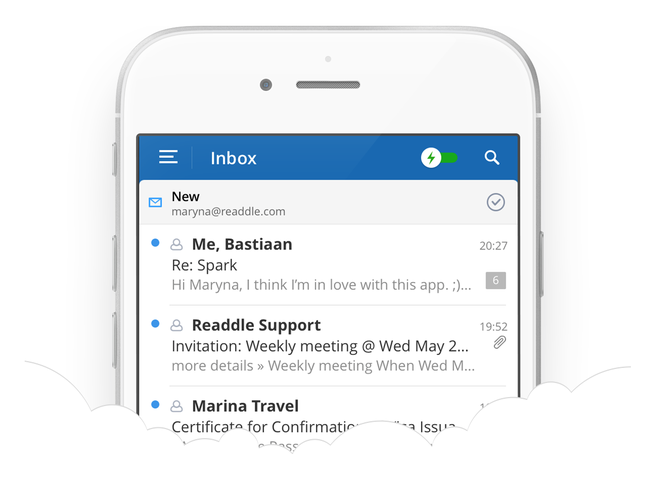 It’s a browser extension that works within your inbox. You can write an email, set a time limit, and hit Send & Archive safe in the knowledge that it’ll be back in your inbox if you don’t hear back from the recipient. I’ve found that if the first 3 settings are checked I can get confused about what’s a new email and what’s been Boomeranged. With this set-up emails are labelled Boomerang-Returned and are added to the bottom of your inbox. NB: Sadly there are no keyboard shortcuts yet. Unroll.me is a fantastic service—once you’ve connected your Gmail account, it rolls together all of the email subscriptions and automatic notifications you receive into one daily digest. The emails are all there but they skip your inbox and are labelled Unroll.me. The daily summary contains screen-grabs of all the newsletters, updates, invites, and other machine-generated email which makes it easy to skim through. You can choose which subscriptions and senders are included in the roll and exclude important automated email such as flight status updates or pull requests on GitHub. NB: The screen-grabs of the emails only the top section of the email; if you want to read the full email you have to head over to their web interface (or dig through the emails labelled Unroll.me) which can be a little cumbersome. Update: I recently switched to Spark, from Readdle as the email app in my dock. The thing I like most about it: auto-advancing on an app. So far, it’s the only app I’ve found that lets you reply or archive and move straight on to the next email. I’ve also set up all of my canned sentences and responses in Settings > General > Keyboard > Shortcuts. The workflow is pretty similar to Inbox Zero: for each email I try to figure out if it needs a reply and, if so, whether I can send one immediately or not. If I can, I will; if I can’t, I’ll star it and move on to the next one. These are some of the processes I find myself repeating and the keyboard shortcuts that I use to do them. When I first open my inbox, I’ll scroll through all of my emails by subject line—hitting j moves the highlight down and k moves it up—if the subject line is enough to tell me it’s uninteresting, I’ll select it with x. Once I’ve selected all of the uninteresting emails I’ll hit e to archive them. If I need to do something outside of my inbox or check on something before I can respond to the email, I’ll hit s to star the email and e to archive it. This will leave it the Starred section of my inbox so I can deal with it later. Next I’ll head back to the top of my inbox (using k) and hit return on the top email to open it up—if it needs a reply, I’ll hit r, write my reply, and hit tab + return to send and archive the email. Gmail will now automatically advance to the next email. Everyone’s workflow is different—we all have our own ways of getting things done. If you’ve got any ideas or feedback on how I can improve mine then please email me or at-reply me on Twitter where I’m @ricburton.